The stories now seem repetitive sometimes even regressive and are making me take back my words that television across the border is more progressive. I am a closet drama viewer. There I said it. I am even part of a WhatsApp group that discusses and disses with equal panache anything on either side of the border and beyond. I don’t exactly recollect when this love fest started, perhaps it was as a child in my hometown Jalandhar in Punjab where we would excitedly catch an erratic signal from across the border telecasting the black and white drama Sona Chandi or maybe the reception was so blurry that we couldn’t really tell any colours! Then came ‘Tanhaiyan’ followed soon after by the iconic ‘Dhoop Kinare’, which we watched repeatedly on borrowed DVDs. In fact, recently, there was an abysmal attempt to imitate the latter in an Indian version but there can only be one Marina Khan. No one comes close to that bubbly flawless persona. Back home, we got distracted as one after the other the Khan men came jumping from behind the trees and charmed us with the enticing option of watching them on the big screen at the cinema. But Shah Rukh Khan flailing his arms towards the sky can be romantic only just that many times, Salman Khan’s action increasingly became more in real than real life and Aamir Khan got busy searching for the perfect role rather than starring in one. Somewhere in the back of our minds we heard of saas-bahu’s taking over daily prime time but while the majority of the country fell for it hook, line and ‘bindi’ some of us remained in denial. Then like a breath of fresh air another Khan entered our make believe world. Fawad Khan made us watch ‘Humsafar’ and ‘Zindagi Gulzar hai’ back to back on loop and after years we bought a DVD just so we could watch the film ‘Khuda Ke Liye’. Soon came the handsome boy of Humsafar who won a wife but failed the trust test became an even bigger heartthrob in our part of the sub-continent. The plot took a backseat. But alas, every story must end and every actor in the sub-continent must head to Bollywood. As consolation we were told, ‘don’t worry there are many Fawads in our country’. Our excitement was short-lived, now we have neither the movies nor the dramas. The one channel that legally broadcast Pakistani dramas has now switched to Korean! By now even with the best of intentions we had given up on our dramas. Unlike Pakistani shows which are finite series, the Indian ones can go on for years where even the actors forget what the original storyline was. In one such serial the lead actress must be applauded for holding on, the character opposite her was played by four different actors. The story usually is more pain than twist, the sound effects even over a family dinner feel surreal, like eating a sit down dinner in a war zone and the clothes, well even today women are dressed in their wedding finery slogging over an ancient kitchen stove. That’s the other thing we liked about Pakistani dramas. If the actor was middle class, he lived in the by-lanes with exposed electricity wires surrounding him unlike here in India where even the poorest character cooks in a fancy open kitchen with coloured walls. If the hero was meant to have a bad day, it showed in the way his or her hair or clothes were in disarray. In other words, not contrived. But in recent times, the x-factor that kept us hooked to Pakistani dramas seems to have gone missing. The last series that I tried watching, I left it mid-way after realising every episode was more of the same anger and angst and not very different from some of the Indian shows where the story doesn’t move but the plot is lost. Initially the tragedy of Humsafar was profound but now increasingly several stories seem morose and depressing. Why does every second drama have a cancer patient or a storyline where nothing moves until someone has died? Plots do not always need a tragedy to make them profound. Not just that, the stories now seem repetitive sometimes even regressive and are making me take back my words that television across the border is more progressive. Sadly, it seems these days there isn’t much to choose between the two. It is normal for an Indian drama to torture us with its endless story line and a stereotypical villain who is far from subtle. The formula for dealing with diminishing Target Rating Points (TRP) is to ‘leap’ a few years and start again at the beginning, sometimes with a plastic surgery that fails to hide our despair. The one gap that seems to be diminishing though is between the actors from both the sides. There are a handful of actors, who can give Fawad Khan or any of the other popular Pakistani actors a run for their rupees. While Pakistani dramas have always been a reflection of their buzzing music scene, these days some of the tracks back home have also broken away from the commercial to strike the right note. As far as the ladies go, there is still not much to write about yet a lot. While we watched their acting just as much as their clothes across the border and it is perhaps a reason why every small corner boutique sells a ‘Pakistani’ dress while back home we watch for how not to dress! The makeup seems even louder after a good night’s sleep and you can get lost in a jungle overnight without even your handbag, yet a new pair of clothes will miraculously appear. 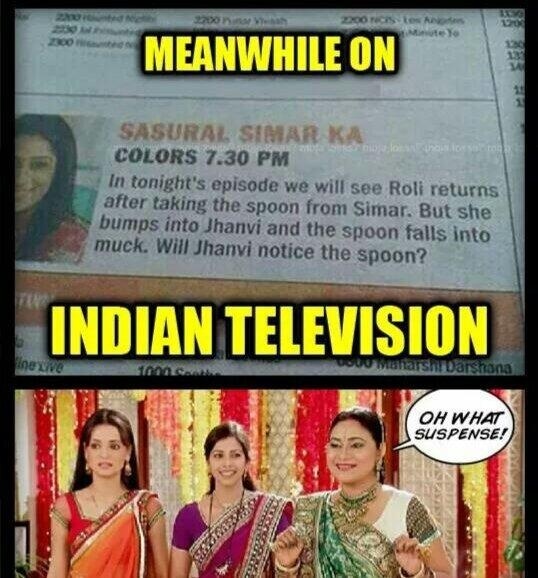 It’s not that Indian serials were always this predictable. A couple of decades ago when Indian television was only just discovering the drama genre, we had ‘Buniyaad’, ‘Hum Log’ and a few more which still remain a benchmark. Maybe this time our friends across the border can buy a few DVDs. Until then, I wait for another Diyare-Dil. Entertainment thankfully knows no boundaries. The writer’s comments on the 3 Khan superstars is funny and spot on. Note – the second ‘real’ for Salman Khan should have been ‘reel’. Compared to Hindi TV serials, Marathi TV Serials/dramas are content driven, subject driven and more realistic. No big joint families with extravagant clothes and jewellery. Maybe because theater/drama is very strong in Marathi. Marathi Serials are very popular in Maharashtra and neighboring states with a large non-Marathi speaking audience. I have noticed it too. Even of you dont watch the dramas, the promos are also about the talaq thingy. To say that the Pakistani dramas have lost the plot is an understatement of the century. 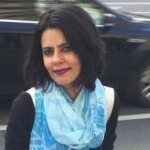 Pakistani dramas have started showing rapists in the capacity of heroes, peddle notions which belong in the 1st century, show a strict dichotomy between working woman (who is invariably arrogant, unable to run the family etc) and “sati savitri” gharelo aurat and the dramas have no other topic than the travails of marriage and family life. Pakistani dramas live in an era long past. I request (nay implore) the directors, writers and producers to bring the pakistani shows in 21st century. They are fast losing relevance in this age.